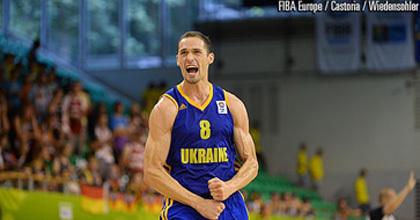 Sergiy Gladyr had a great 2013 and now the Ukrainian international is hoping for another great year in 2014 – photo from FIBA Europe. Taking The Charge Podcast Episode 70: Os Davis of BallinEurope and Dave of heinnews talk about a survey of Euroleague GMs as well as the week in action in the Euroleague. Our interview is with Sergiy Gladyr from French club Nanterre.